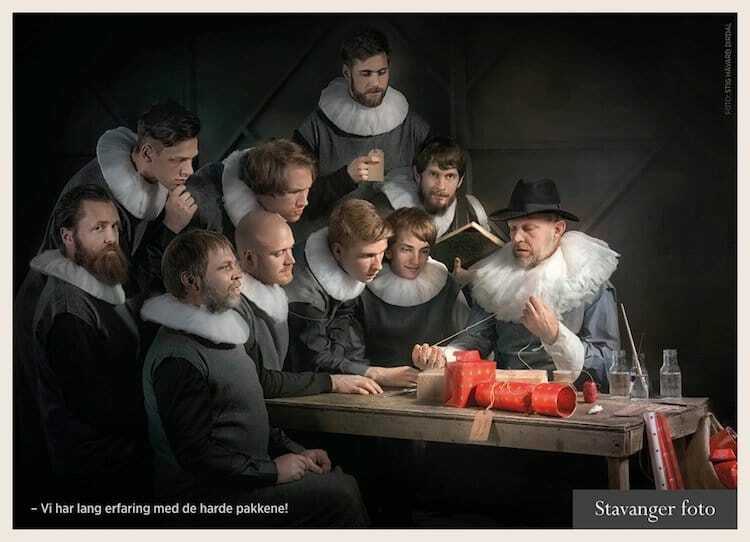 Home » Historical » Elizabethan » This Photographer Recreated Rembrandt with IKEA Products! The lesson can be dated to 31 January 1632 when the Amsterdam Guild of Surgeons, of which Tulp was official City Anatomist, permitted only one public dissection a year and the body would have to be that of an executed criminal. Anatomy lessons were a social event in the 17th century, taking place in lecture rooms that were actual theatres, with students, colleagues and the general public being permitted to attend on payment of an entrance fee. Known for his artistic, playful, and often unconventional approach, he used only standard IKEA products to stage the scene. Even the costumes he designed and made used IKEA fabric. Since establishing his creative bureau dTurbine in 2006 he has specialised in theatre photography and advertising, seeing each project through from idea stage to art direction and graphic design. “My base idea was to make something interesting and relevant for the camera store business while adding an element of surprise in the form of a retrospective perspective,” he said. He used Polarvide throws for fabric, a Sy 15-piece sewing kit, Lill curtains for the ruffs and Bertil chair pads. The collars were considerably easier than your average ruff as the models made their own with just a 20-minute workshop beforehand using knives, scissors and staplers.